More Ways to Get Rid of Mueller! 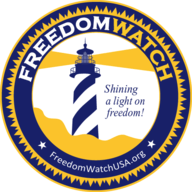 Go to www.FreedomWatchUSA.org to Sign Petition and Support Our Lawsuit to Remove Mueller. Please Donate and Share!